JSSC Examination Syllabus — Jharkhand SSC Syllabus Pdf Download! IndiaJoining.Com – Govt Jobs, Sarkari Results and Much More! Check and download JSSC Examination Syllabus 2018 at here. We publish the newly released exam scheme of JSSC. 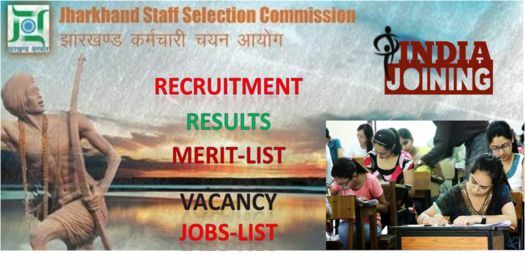 Jharkhand Staff Selection Commission may recommend for appointment to all the posts of Group-C and Non-gazetted General/Technical/Non-Technical Service/Cadres of Jharkhand State Government in Group-B and the selection on which is not done by Jharkhand Public Service Commission. Candidates who are preparing for the examinations and recruitment tests of JSSC may download the newly released exam syllabus of various competitive test conducted by JSSC. Check JSSC Exam Structure 2018 latest list here. The latest syllabus and examination pattern of Jharkhand Staff Selection Commission examinations is available here to download in PDF format. All PDF syllabus files are free to download.